For He bruises, but He binds up. He wounds, but His hands make whole. Count it all joy when you fall into various troubles.. it increases your faith. So let your endurance have a chance to grow.. through those daily trials. Be wise.. ask God for the wisdom you need. Remember, God gives generously to all those that ask. But don’t pray for wisdom with a doubting mind – that exhibits lack of faith.. and remember – faith is increased through the various troubles and trials of life. So let your patient endurance have a chance to grow through those fiery trials.. and count it all joy when you fall into various trials – it increases your faith! If you truly desire wisdom and the other godly attributes.. be careful, God may give you what you desire. But He will carve a deep gaping wound, before He binds it up. He will set you in a ministry of sorrow – before He ministers to you His joy. He will drive His furrows deep into your bleeding heart. He will plough your life up, with an earth-splitting quake. He will carve a deep gaping hole into your soul – with a raging hurricane’s blast. He will convulse your very being – with the trial designed to increase your faith – as you pray for cherished wisdom, that is bestowed through believing trust. So be careful what you pray for. God is in the business of answering prayer. But the answer often runs counter to the way that we would suppose or desire.. and the answers rarely come at the time that you expect – but at a time ye think not. The furrows of heartache and disappointments expose virgin territory. The earthquake holds a precious secret – in the bowels of its strength, The tornado sweeps clean a perfect path – in the eye of its power.. but only in the wake of the tsunami’s flood-waters, do pools of refreshment appear. Only beneath the destructive shards – lie perfumed lilies and mossy cushions. Each wound and every pain has had its own attached love-song of renewal. The broken limb of the crushed cedar.. becomes the fledgling’s sheltering nest. The gaping cleft of the ruptured mountain.. becomes the nursery of new growth. Be careful when you pray for that cherished wisdom.. it may not be delivered in the package that you anticipate. Be not wise in your own understanding – for His ways are not our ways. And don’t be too hasty to pray for His all-encompassing, unconditional love.. as laying down of your life for your friend – may not be the experience you expect. Weeping we are told will endure for a night.. only a night. But that night may last for the rest of your life. But rejoice with me, for joy we are told truly does come in the morning.. and that day will dawn as the Morning Star rises. 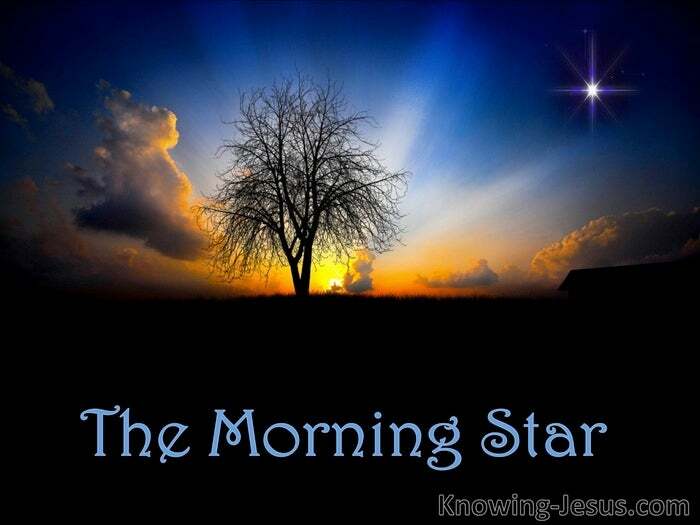 And to those that overcome, I will give to him the morning star. 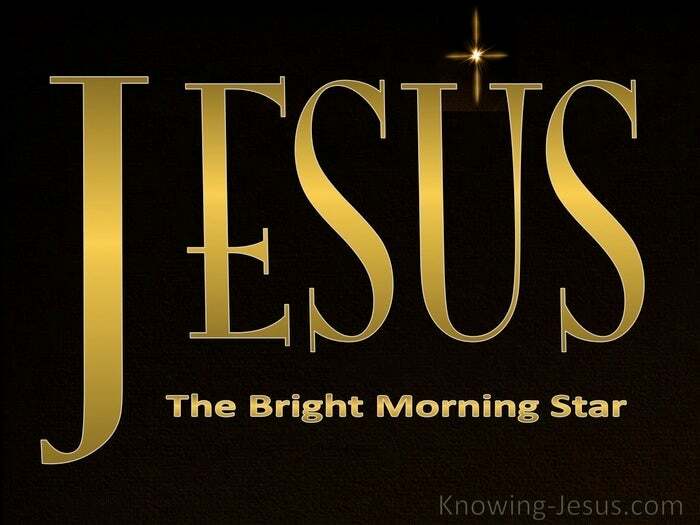 Jesus said, I am the Bright and Morning Star.